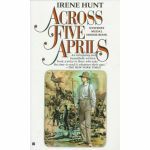 Across Five Aprils is the touching story of Jethro Creighton. When the Civil War breaks out, his family is split, with brothers joining both sides of the cause. When cousins also join the war, the two families join forces to keep the farm going. Jethro's father dies unexpectedly, and young Jethro is now the man of the family. 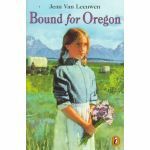 Bound for Oregon is based on the true story of the Todd family (written by the daughter) as they left Arkansas for the Oregon territory. Experience the hardships of trail life: raging rivers, sickness, death, trying to beat the first snow, hunger, fear, and even birth. This exciting story is told through the eyes of a ten year old girl. Such a great story - and more than that, because it's true. Your homeschooled child can "experience" the sacrifice of our country's pioneers through the pages of this book. A delightful story of a 9-year-old girl and her older sister and brother as they face their parent’s decision to homeschool them. At first frightened that all her friends will think she’s odd, Katy soon comes to realize that being homeschooled is one of the best things that could happen to her. Each chapter follows Katy through typical days in her life as she learns to honor her parents and her siblings. A story of faith, obedience, and fun. Perfect for the ‘tweener age group. Little Town on the Prairie is the 6th book in the classic series by Laura Ingalls Wilder. It continues to follow the Ingalls family as they move into town for a brief time. As usual, the book is exciting, detailed about life in that era, and very entertaining.